A unique and sophisticated Sicilian delicacy, seasoned with fresh garlic and herbs. 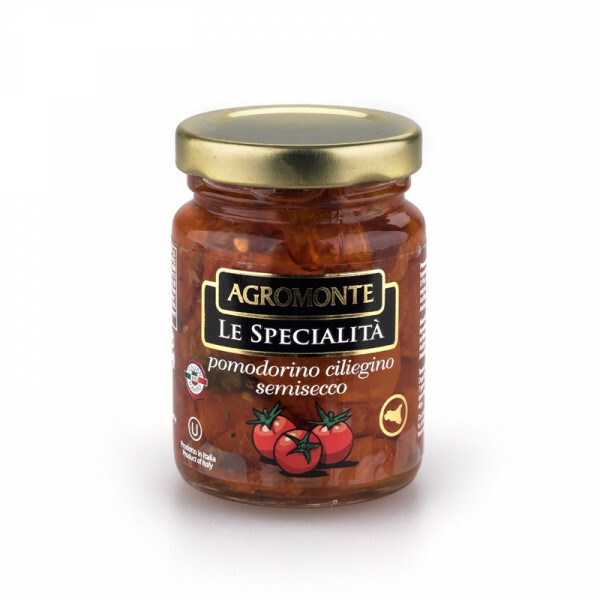 Both sweet and savoury, semi-dried cherry tomatoes are a key ingredient in many dishes in Sicilian cuisine, expressing the complete Mediterranean essence. A sophisticated and unique alternative to fresh tomatoes, this famous Sicilian delicacy is seasoned with fresh garlic and herbs. An excellent accompaniment to typical cheeses and charcuterie, it's also perfect in salads, as an appetiser or as an accompaniment to drinks. 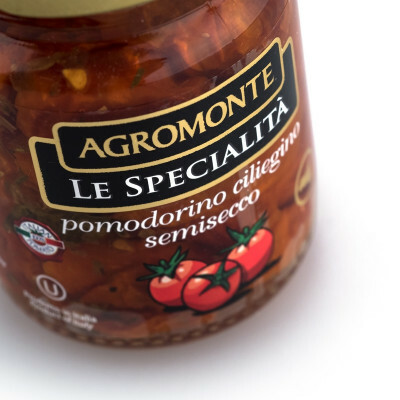 Semidry Cherry tomato (55%), sunflower oil, salt, basil, oregano, garlic, red chili pepper. Acidifier: citric acid. Antioxidant: ascorbic acid.